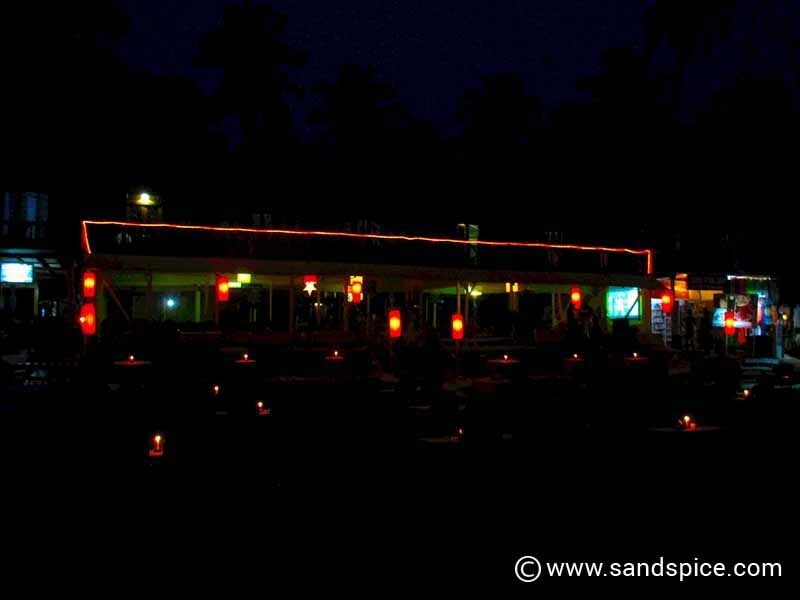 A few kms south of Agonda beach is Palolem beach, which stretches across a 1.6 km curved bay. The beach is pretty much built up from end to end with a large variety of accommodation, restaurants and shops. Rooms and cabins range in price, for anything between 200 to 5,000 rupees per night. With Monkey island constantly in view to the west, for us Palolem was the most striking of all the beaches we visited in Goa. Here, there is a good balance between peace and quiet and things to do. The place is also very cinematic. No wonder this location was chosen for the filming of the opening scenes in The Bourne Supremacy, back in 2004 (see “In the Footsteps of Jason Bourne”). At low tide you can wade over to Monkey Island (also known as Kankon Island by the locals). If you do, you should take some good walking shoes with you as the island is rocky and overgrown. There are some good views back to Palolem beach from there. Despite the name, don’t expect to find many monkeys. 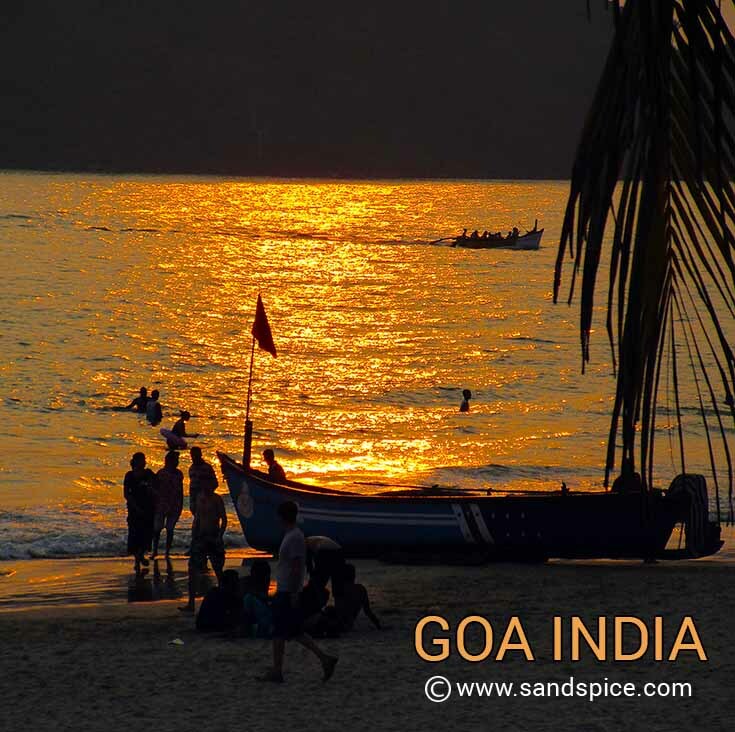 The northernmost section of the beach is separated from the rest by Palolem river, which flows across the beach into the sea. At this point it’s fairly shallow and easy to wade across. There are a number of fishermen who can take you on a boat trip up this peaceful and quiet river for bird watching and crab fishing. 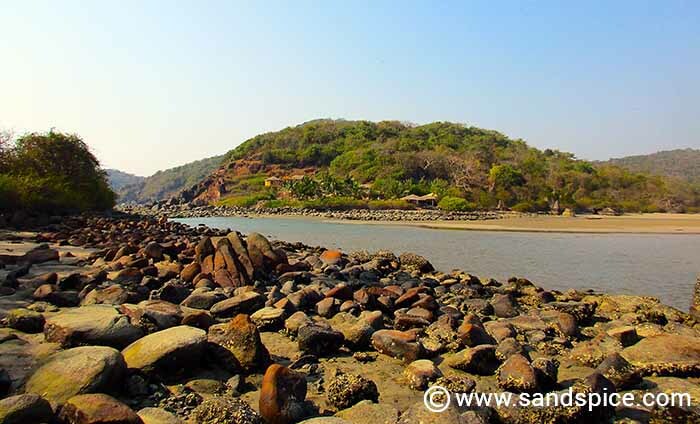 You can also arrange boat trips to the secluded Butterfly Beach, further up the coast. 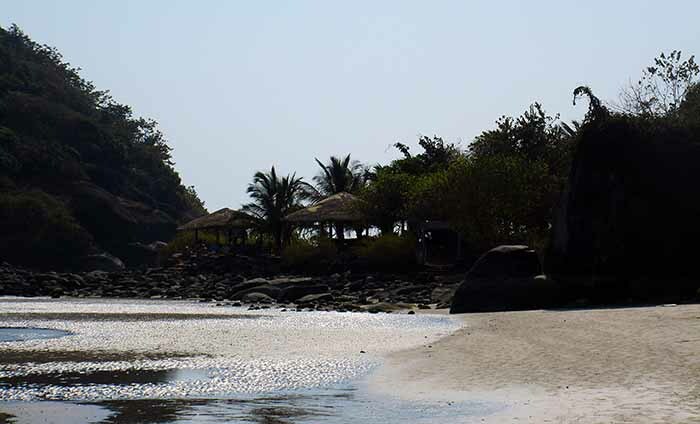 After crossing the river, and just before wading over to Monkey Island, you’ll notice a small elevated group of huts, separated by the river from the rest of Palolem beach. This is a small resort providing seclusion and very basic accommodation: Evidently a last bastion of the hippie culture which dominated these beaches from the 60s and 70s. 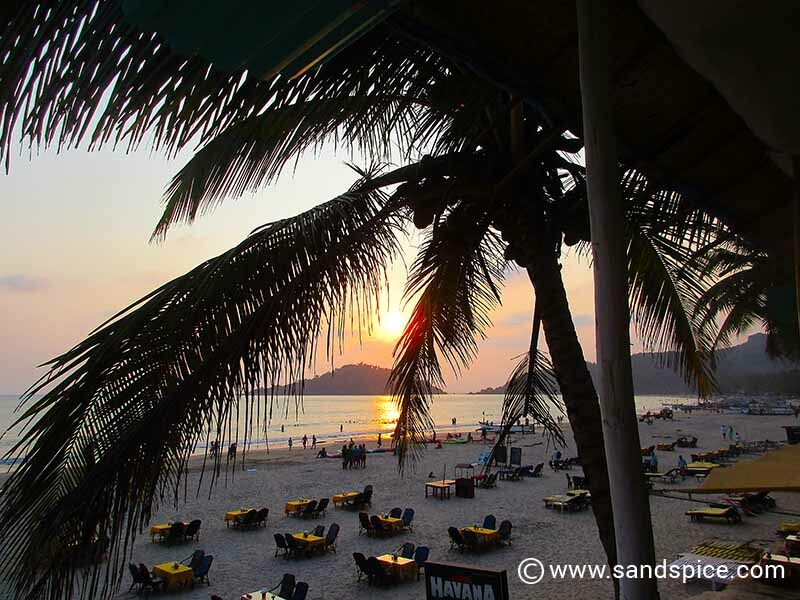 Adjoining Palolem beach to the south, on the other side of an elevated rocky headland, is Colomb beach. There’s a good restaurant on the top of this headland, with a panoramic view of the beach. At weekends, just behind here, you can enjoy one of their Silent Noise Discos. For a small payment, you can choose one of 3 styles of music. You are then given wireless headphones, and can soundlessly disco the night away under the stars without disturbing the peace elsewhere. 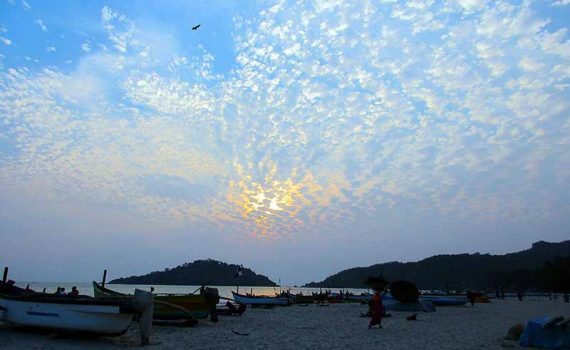 The crescent-shape of Palolem beach provides the perfect venue for an early-morning barefoot run, followed by a dip in the calm morning ocean. The sea remains sandy and shallow enough for a good 40 meters out – ideal for swimming. Palolem beach is home to a large number of semi-stray dogs. The dogs attach themselves to the various resorts. This results in periodic flare-ups as each dog community protects its patch from rival dogs that occasionally wander into their territory. The rest of the time they spend sleeping in a hole they’ll dig under any available shade: Don’t be surprised if you find one taking shelter under your sunbed. Unlike other resorts we visited, such as Kovalam, there is no charge for using the sunbeds and umbrellas which are provided by the various beach guesthouses. 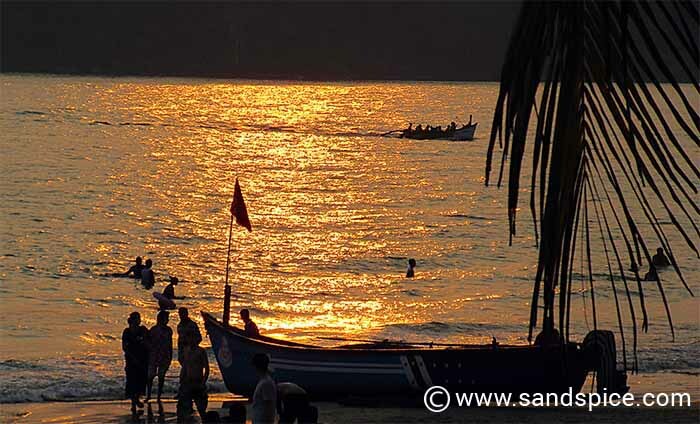 Palolem beach is naturally popular with runners and “power”-walkers, which is a great way of starting the day. Some of the local walkers carry sticks to ward off dogs that occasionally give chase. This isn’t really necessary: the dogs are just playing around and are no danger to tourists. On the beach, you can rent a kayak for 200 rupees per hour (negotiable). As everywhere, they have watchful lifeguards with red flags and whistles, and even an emergency jet-ski. 50 meters or so behind the beach, you can access the main backstreet, Here you can find taxis and rickshaws, and a variety of shops, restaurants, travel agents and internet cafes. From these vendors, we were able to stock up daily on fruits, nuts and drinks. If you’re prepared to walk for around 30 minutes, you can also reach the ATM machine (just before the railway). The price for a meal for 2 at one of the dozens of restaurants on the beach typically comes to around 700-800 rupees (€11) – including a couple of large beers. If you both choose the fresh fish of the day, which is on offer everywhere, your combined bill will be closer to 1200-1300 rupees (€18). We ate at numerous places, and never had a bad meal. The curries were always good – and as spicy as you want them. Palolem beach was exactly what we were hoping for with our trip to Goa. White sand, relaxed ambience and music, spicy food, friendly locals, cheap booze and warm, calm seas: What more could you ask for? This place alone is reason enough to visit India. I'm a Celebrity - Get me out of Fort Kochi!